A Beard Brush to Stand up to Rugged, Everyday Use. Perfectly sized to easily grip and brush through your facial hair, the Perfecto Beard Brush is expertly crafted using solid wood construction to provide long-term durability and use. It’s outfitted with extra-firm bristles, made out of super stiff wild boar to clean, massage and groom your beard to perfection. Use the brush to straighten facial hair, get rid of tangles and snags, massage your skin, and apply beard oil and balm for maximum fullness and styling. Super-Stiff, Wild Boar Bristles Are Stiffer Than the Competition. Providing shape and style as it brushes through your facial hair, these extra-firm bristles stimulate the skin underneath. These brushing strokes act as a softener which encourages the distribution of natural oils, providing conditioning benefits that can keep your beard healthy. Stiffer than the competition, these bristles also pull out dirt, dandruff and flaky skin as it massages the skin, keeping facial hair and skin looking clean, healthy and shiny. The Perfect Gift for Any Bearded Man. 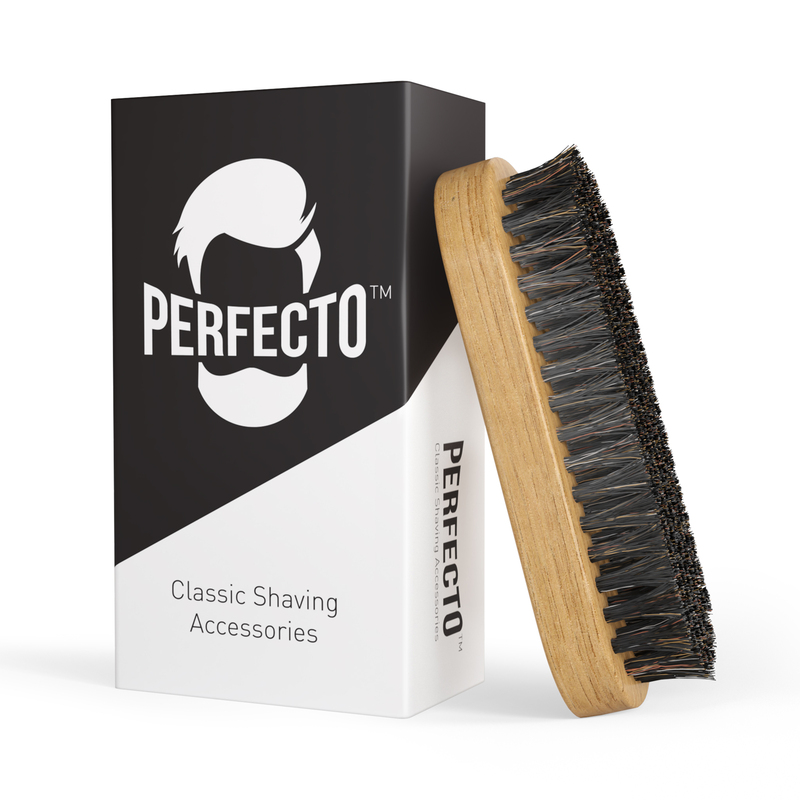 Expertly crafted using high-quality materials and nicely packaged, this beard brush from Perfecto will make a great gift for any man who prides himself on his beard. Whether he prefers a classic look or something with a modern edge, he can groom that rugged facial hair for a professional, stylish look. The next time a birthday, holiday or another special event rolls around, give him a gift that will make him look absolutely perfecto!